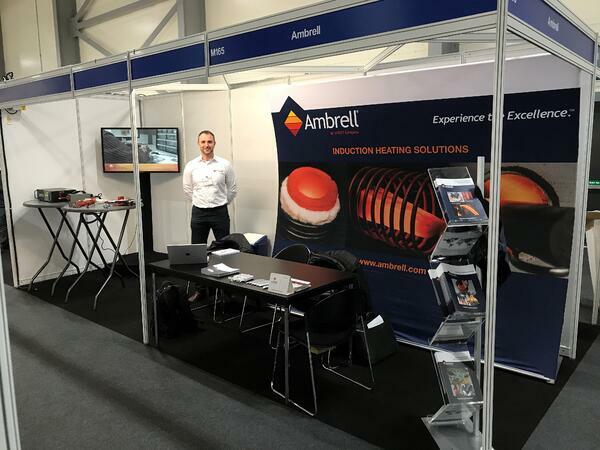 At the stand, our team will be happy to discuss client heating applications and even get the complimentary parts assessment process that is offered by THE LAB at Ambrell started. Attendees can also view an induction heating demonstration and learn more about the advantages of induction. Benefits include speed, repeatable heating, precise heating, and superior safety when compared to methods like flame heating. Induction is used for a wide array of applications including brazing, soldering, metal-to-plastic insertion, shrink fitting, curing, heat treating and more. Southern Manufacturing and Electronics is a comprehensive annual industrial exhibition in the UK and a significant pan-European showcase for new technology in machinery, production equipment, electronic production and assembly, tooling and components as well as subcontract services across an impressively wide range of industry. To learn more about Ambrell visit www.ambrell.com.